Are you interested in starting a career as an insurance loss adjuster? A loss adjuster also investigates the circumstances that led to an insurance claim but has the expanded role of determining the insurance company's liability and also providing an opinion as to whether the amount claimed is a true reflection of the true indemnification due when issues such as depreciation, insurance laws of average, contribution and other indemnity limiting factors are considered. They may also negotiate claim settlement on behalf of the insurer. The registration requirements of insurance loss adjusters is laid out in Section 150 of the Insurance Act Cap 487 of the laws of Kenya. The following are the requirements. An application in the prescribed form together with appendices. The form may be obtained from the Insurance Regulatory Authority (IRA) Offices or their website (ira.go.ke). The applicant should demonstrate the volume of business that is likely to be obtained and that the earning prospects are adequate. Demonstrate that the business in respect of which the application is made will be conducted in accordance with accepted professional standards. In case of a company, proof that the financial standing of the applicant is sound. Curriculum Vitae of the Principal Officer who shall be a partner in case of a partnership or a shareholder in case of a company. Registration fee Kes. 3,000 payable to the Insurance Regulatory Authority. A certified copy of certificate of incorporation if the firm is a limited company or a certificate of registration of business name. 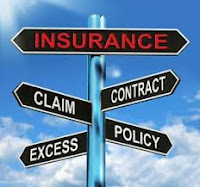 The name of the company should be in order and in line with section I90 of the Insurance Act.